Looking for a delicious Mongolian Beef recipe? 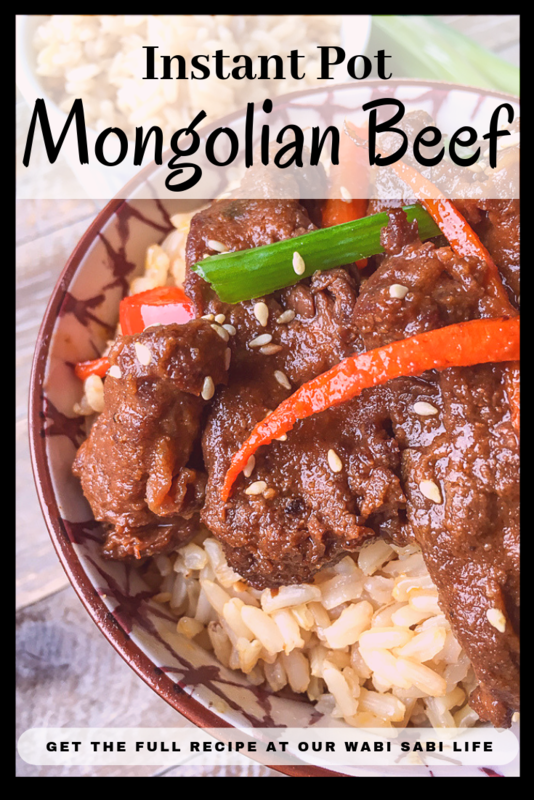 This Instant Pot Mongolian Beef is the best tasting, easiest to make Mongolian Beef dish that you will ever need. Make it for dinner tonight. If you love Mongolian Beef and think it is too hard to make at home, you need this recipe. Making this Chinese food classic at home is almost as easy as calling for take out. As a bonus with this recipe, you can have as much as you want. No more small portion sizes like when you are ordering out. 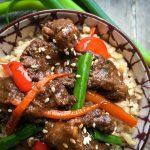 Can I make Mongolian Beef in the Instant Pot? Yes. 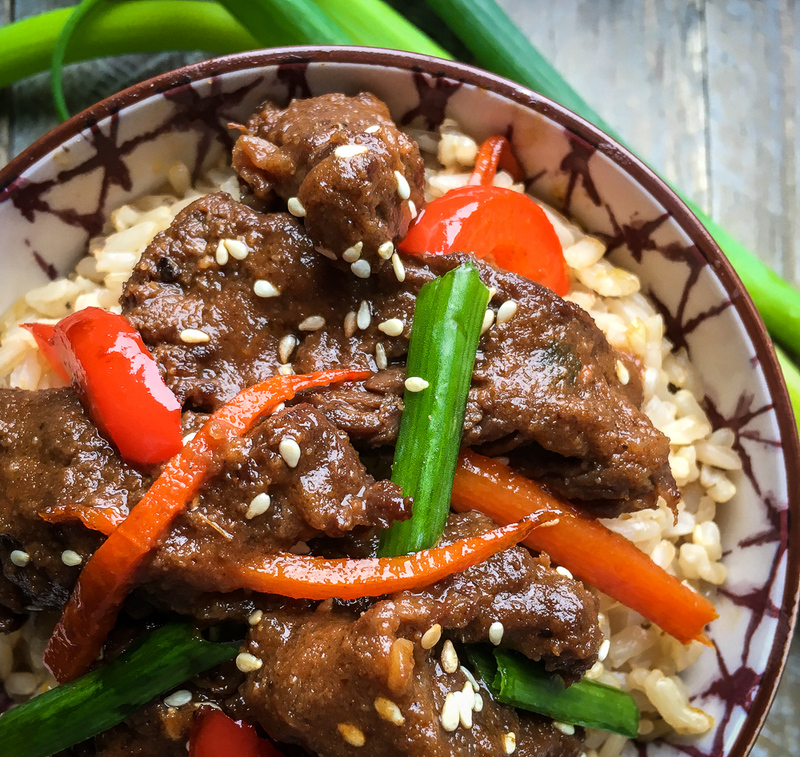 It is fast and easy to make this Mongolian Beef recipe in the Instant Pot. Instant Pot Mongolian Beef takes about 15 minutes of prep time and 20 or 25 minutes of pressure time. 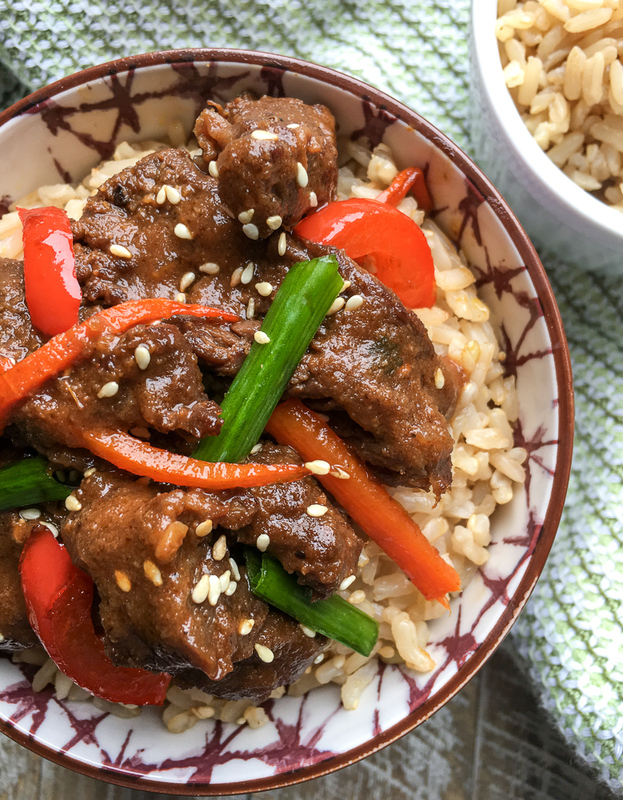 It takes another 10 minutes of natural release to make this delicious Mongolian Beef in the Instant Pot. Typically a Mongolian Beef Recipe is served over rice. You can serve it over noodles or mashed potatoes. It goes great with steamed broccoli or other vegetables. How Long Is Mongolian Beef Good For? When you make this Mongolian Beef recipe at home, it does not have preservatives in it. It will last for three to five days in the refrigerator when stored in an airtight container. How Many Weight Watcher Points in Mongolian Beef? While this recipe is high in Weight Watcher points, it is still a lot better than Mongolian Beef takeout. This recipe comes in at 15 points per serving. Place beef and cornstarch in a one-gallon freezer bag. Seal and turn to combine until steak is lightly coated. Set aside. Add one tablespoon olive oil to Instant Pot® and select the Sauté function. Set to high and once the display reads “hot,” add beef, working in batches if necessary, and brown on both sides, approximately 3 minutes per side. Add additional olive oil, as necessary, to brown the remaining beef. Transfer beef to a plate and add one tablespoon olive oil to Instant Pot®. Add onion, carrots, ginger, and garlic, and cook, stirring continually, until onion and carrots are soft and turn golden brown, approximately 4-5 minutes. Remove from Instant Pot® and set aside. Return beef to the cooking container and add Sriracha sauce, sesame oil, tamari, water, honey, and maple syrup. Stir to combine. Add lid and set pressure valve to “Sealing” position. Select “Manual” option and set to high. Adjust cook time to 6 minutes. When finished cooking, allow pressure to release naturally for 10 minutes, and then do a quick release for the remaining pressure. Remove lid and add sautéed veggies back to the container. Stir to combine. Taste and adjust seasonings, as desired. Serve immediately over a bed of brown rice, topped with sliced green onions and toasted sesame seeds, if desired. Enjoy! Place beef and cornstarch in a one-gallon freezer bag. Seal and turn to combine until steak is lightly coated. Set aside. Add one tablespoon olive oil to Instant Pot® and select the Sauté function. Set to high and once the display reads “hot,” add beef, working in batches if necessary, and brown on both sides, approximately 3 minutes per side. Add additional olive oil, as necessary, to brown the remaining beef. Transfer beef to a plate and add one tablespoon olive oil to Instant Pot®. Add onion, carrots, ginger, and garlic, and cook, stirring continually, until onion and carrots are soft and turn golden brown, approximately 4-5 minutes. Remove from Instant Pot® and set aside. Return beef to the cooking container and add Sriracha sauce, sesame oil, tamari, water, honey and maple syrup. Stir to combine. Add lid and set pressure valve to “Sealing” position. Select “Manual” option and set to high. Adjust cook time to 6 minutes. When finished cooking, allow pressure to release naturally for 10 minutes, and then do a quick release for the remaining pressure. Remove lid and add sautéed veggies back to the container. Stir to combine. Taste and adjust seasonings, as desired. Serve immediately over a bed of brown rice, topped with sliced green onions and toasted sesame seeds, if desired. Enjoy!